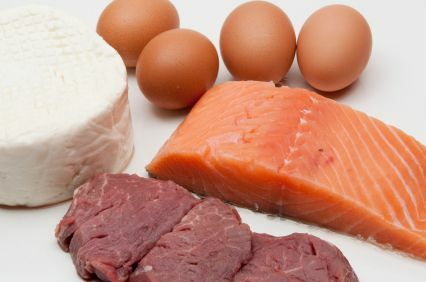 In order to appreciate the concept of a complete protein, you need to know that proteins are organic compounds made up of building blocks called “amino acids.” There are about 20 common amino acids. Nine of them are considered “essential” because the body cannot make them, and therefore, they must be supplied by the food we eat. This information is important to you only because, if your diet does not contain enough of these essential amino acids, you may suffer the effects of protein deficiency. Foods that contain all of the essential amino acids form “complete proteins.” These protein foods generally come from animal sources. Plant foods do not, as a rule, have all of the amino acids, but by eating combinations of plant foods, called “complementary proteins,” you end up with a complete protein. When you eat pinto beans with rice, such as is often found in South-of-the Border cuisine, you are consuming a combination that will provide a protein that is complete. The rice and beans complement each other, in that each has several of the essential amino acids and when eaten together, they provide all of the essential amino acids. Most nutritionists say that it is not necessary to eat these complementary proteins as part of the same meal. Here is a list of complementary proteins, that is, proteins that when eaten together become complete. When you consider that many foods have at least some protein and many foods have significant protein, if you are eating a variety of healthy foods, you are probably getting enough protein. However, if you live in a developing country, protein deficiency may be a real concern. People in poor countries struggle to meet the minimum requirements for protein in the diet. Quinoa is a tiny seed that has been popular since ancient times in South America. It is one of the few plant foods and the only one treated as a grain that is a complete in terms of protein. Available in red and white varieties, quinoa is a good source of manganese, magnesium and iron. It is gluten free and often used used to make gluten-free pastas. Use instead of bulgur in cold salads. Cook like oatmeal as a hot cereal or mix with oatmeal. Be sure to rinse quinoa in cold water to remove any traces of the bitter coating on the seeds. Boil 1 cup of quinoa in 2 cups water for about 15 minutes. Click here to go from Complete Protein page to Cooking with Beans page.